This entry is part 1 of 7 in the series Eat Wallonia. It’s berry season in Europe and one town in Wallonia has been growing Belgium’s best strawberries since the 1800s. Wépion Strawberries, or fraise de Wépion, are eagerly anticipated by Belgians each spring. A few weeks ago, I was invited to be part of a foodie tour of Wallonia, with my good friend, Sherry Ott and her friend Charlie Grosso. Our guide to this taste extravaganza was the incredible Evelyne (seriously email her if you want the best guide in Belgium). One of our first and last stops of the trip was Wépion, to learn more about what makes these strawberries so special. I’ll be honest, strawberries are far from my favourite berry. The taste never quite matches up to memories of berry picking in my childhood. I remember going to big u-pick berry farms, with my Mother and Grandmother, and eating more berries than I put in my bucket. My favourite strawberries though, were the tiny wild ones, we would find along forest trails. They would be bursting with sweet juiciness and leave red stains on my fingers for days. These days, most store-bought strawberries taste of nothing more than subtly flavoured water, so I was sceptical of the hype surrounding Belgium’s famous berry. As we passed through the town, we picked up an expert in Wépion’s strawberries, Philippe Attout, who works at the Musée de la Fraise. That’s right, Wépion has an entire museum dedicated to strawberries. As we weren’t visiting the museum until the end of the day, Philippe was eager for us to sample the strawberries before they all sold out. Despite being early in the season, especially after our long, cold winter, this year, there were still several strawberry stands dotted along both sides of the road. Philippe and Sherry hopped out to buy us a box and we eagerly tore into the brown paper wrapper. The Wépion strawberries were bright red and bigger than golf-balls. They burst with strawberry juiciness, just like the berries of my youth. Philippe insisted it was still too early in the season and the strawberries would taste even better later on. If the taste is even better, I could definitely become a strawberry convert. Later in the day, when we returned to Wépion, we learned why strawberries are such an important crop for the town. Strawberries were initially grown here, along the fertile banks of the Meuse River, interspersed with hops. As the value of waterfront land increased, the strawberry fields moved further inland and, in the 1960s, became an important commercial crop, with the construction of the “Criée de Wépion” (or Wépion auction). The auction runs every evening at 7:30, during the growing season, and local strawberry farmers come laden with their wares to sell to market and shop owners. It is a reverse auction, similar to the Aalmeer Flower Auction, in which the price counts down on a clock until a buyer agrees to pay that price. The purchased strawberries are on the shelves by the next morning. An independent body, called the “Groupement des Fraisiéristes Wallons” closely regulates the cultivation of Wépion strawberries. Although there were traditionally many different varieties, these days, Wépion strawberries are generally one of three types: Darselect, Elsanta or Lambada. 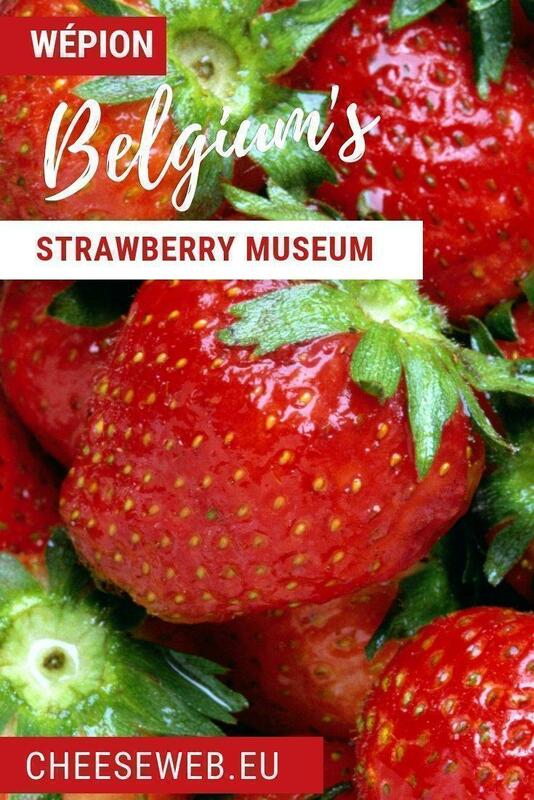 The Musée de la Fraise offers even more detail about the history of the Wépion strawberry and its importance to the region. It’s a charming little place and, in the summer, also boasts a 35 acre “Jardin des Petits Fruits” (garden of little fruits) with local and exotic varieties of fruit for you to smell, taste and enjoy. 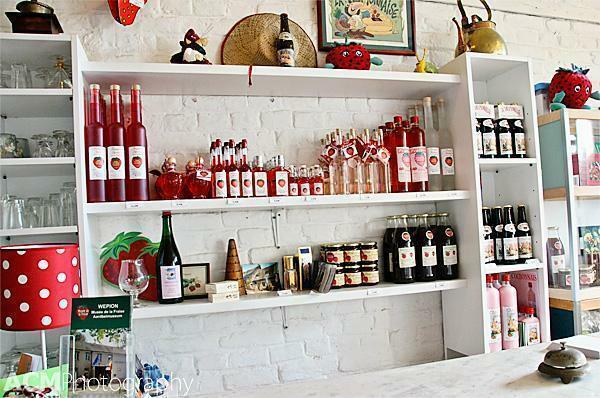 Inside the museum, you can also taste and purchase a variety of strawberry products, including strawberry beer, liqueur, jam and candies. 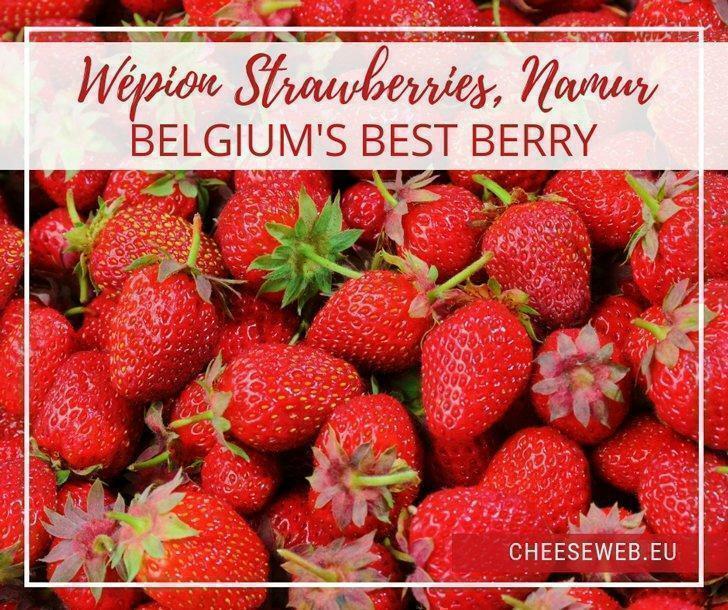 So, if you are craving a taste of summer, head to Wépion to enjoy and learn more about their famous fruit, or simply keep your eyes open for Wépion strawberries at your local market. Visit the Musée de la Fraise website for opening times and directions.